Type SA multi-turn actuators and SQ part-turn actuators are the core products of the AUMA product portfolio. AUMA SA electric multi-turn actuators are used for the automation of gate valves or globe valves. 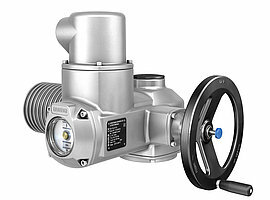 AUMA SQ electric part-turn actuators are used where an automatic, electrically operated movement at a swing angle of less than 360 ° has to be implemented as it is the case for valves like butterfly and ball valves. Below is a video that demonstrates how to set the limit switches for both SA and SQ. This video is intended as a supplement to the operating instruction and/or manuals available from your local AUMA Representative.